Further, Standards of Auditing (SA) 700 is required to be followed by the auditors, which deals with “FORMING AN OPINION AND REPORTING ON FINANCIAL STATEMENTS”. Appendix of SA 700 prescribes “Formats of Auditors’ Reports on Financial Statements”, whereby the requirement under Section 227(3)(bb) was missing. Now SA 700 has been revised to be in-sync with the section. 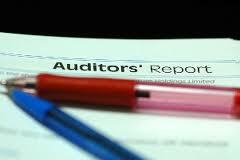 The comparison of the Auditor’s Report is shown below. The insertion is marked in bold. This entry was posted in Articles and tagged auditors report, legal documents on February 11, 2014 by novojuris.